The Junction has décor recalling old train stations and specializes in homemade pizza pies. They make their own dough and sauce, and shred their cheese in house. Their menu also sports hamburgers and hot dogs, homemade soups, and from-scratch chili made over two days. 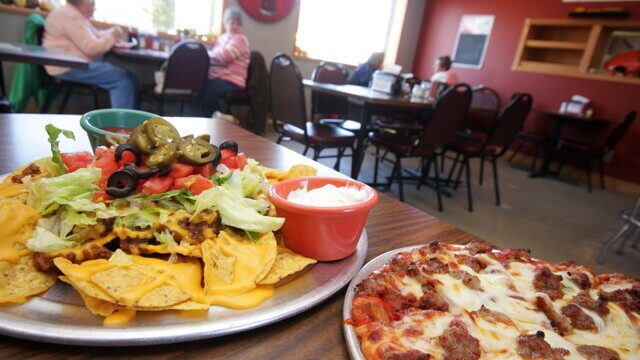 Their beef is sourced from Rump's butcher shop in Altoona, and they serve up a wide variety of ice creams from Olson's. They also serve espressos, bakery items, and breakfast pizzas, opening at 9am on Thursday. Check out their daily specials.